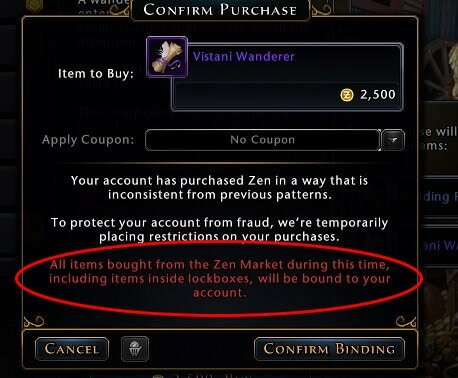 In order to further reduce the impact of fraud and gold-seller behavior on game economies, we are refining detection systems that are currently in place in both Neverwinter and Star Trek Online. 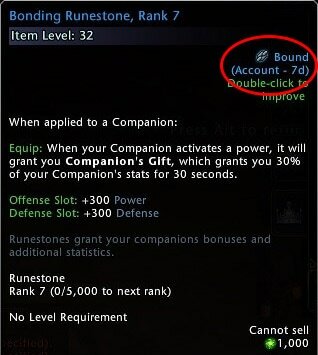 These systems identified potential problem cases and permanently bound tradeable items to the player account. For instance, if a lockbox key or a package with a collection of items was purchased, all contents of these items would also become account bound. This update will be implemented across all platforms for both Neverwinter and Star Trek Online. We plan to adjust the sensitivity of the system over time to minimize the impact on our legitimate customers. We welcome your feedback and appreciate your patience in this matter. *Note: Previous images displaying Enchanted Keys were for messaging example purposes only - Enchanted Keys will always remain bound. Images have been updated for clarity.